This film serves as an introduction to the sport collections at Heritage Quay and highlights the history of Rugby League and the sport’s close links with the town of Huddersfield. The film and the accompanying education pack provide a focus for a local history study as set out in the KS2 national curriculum. The Arts scene in Huddersfield is a major area of strength in the archives. This film gives an introduction to the development of British theatre and highlights items from the Lawrence Batley Theatre, Huddersfield Operatic and Dramatic Society, and Mikron Theatre collections. This film gives an introduction to the history of the University of Huddersfield, highlighting the role of Frederick Schwann and the Ramsden family in its history. It provides a focus for KS2 local history study. 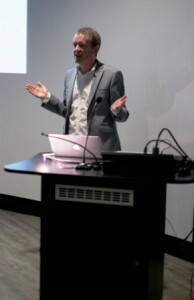 Items shown in the film include commemorative china which marked the opening of the Ramsden building, and the bell which called students to their classes. This film highlights the rich variety contained within the music collections at Heritage Quay. From brass bands to dance bands, contemporary music to classical, this is an accessible introduction to a range of musical genres for those studying music at primary level. The film gives an overview of Huddersfield’s development as a textile town, highlighting the links between textiles and manufacturing, and focusing on local engineers Hopkinsons, whose archive is one of the largest and most complete at Heritage Quay. The film is a valuable starting point for a KS2 local history study, as well as supporting the KS3 themes of industry, empire and technological change. The Fabrics of India sample books shown in the film may inspire and interest textile students. 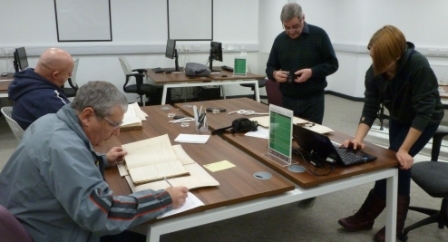 This film introduces the collections of three significant figures which are prominent in the archives – Robert Blatchford, Victor Grayson and John Henry Whitley. 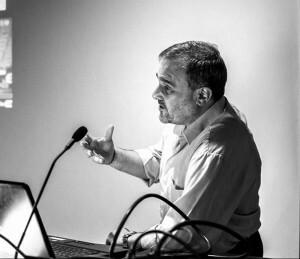 The film gives a brief outline of their achievements in bringing about social and industrial improvements for working people and invites the viewer to consider their legacies. The film is intended for a primary audience, however it provides a good starting point for KS3 students studying British politics between 1860 and 1939. Sometimes working in Archives can feel a bit like being a detective and the research and investigations don’t end in the strongroom. We’re in the midst of developing content for our summer and autumn events and I’m working on one event in particular at the moment: Celebrating the Indomitables. The rightly celebrated Great Britain touring side of 1946 remains the most successful to ever go down under and to celebrate the 70th anniversary of their achievements we have an event on the 2nd July where we are going to tell the story of the trip from beginning to end. The first place to start was our own archives which are particularly rich in this area – the RFL kept some fascinating documents and there are photographs and programmes to do alongside. We also have a couple of player collections from Byrn Knowelden and Dai Jenkins which have a more personal dimension. The Dai Jenkins archive is particularly rich as he donated his trunk and all its contents to the RFL. 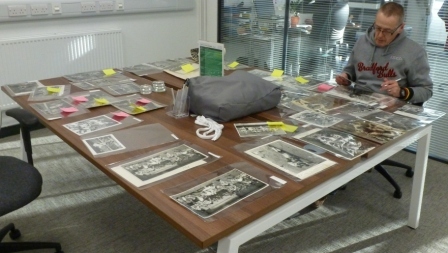 Our volunteers have been going through all these great collections to see what stories we can tell but it’s not enough! We are also working with Simon Foster, son of tour star Trevor who organised a reunion event a few years ago at the George – he has already been in touch with some of his many contacts. We have two special aims that are above our usual rugby league events here – we are attempting to invite the families of all the players on the tour, and to track down the shirts that were worn by the players – there are 26 in total. This is the one that belonged to Dai Jenkins – you can see the mud is still on it! We’re going through local and national press, and contacts at clubs across the North and we are interested in speaking to anyone with a connection to the tour, particularly if they have stories of a family member, if they own any memorabilia or even if they served on the HMS Indomitable. 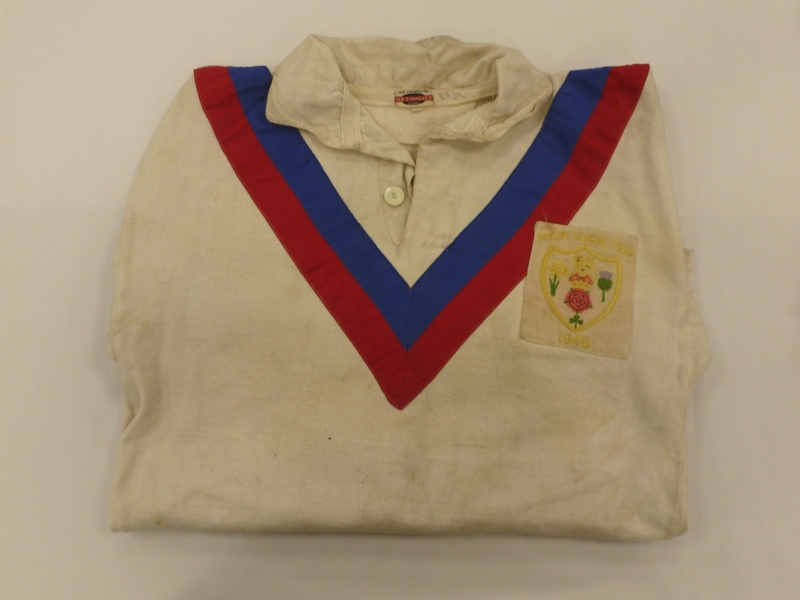 The archive would be really pleased to hear from anyone holding any items relating to the tour or with a connection to: Martin Ryan, Joe Jones, Eric Batten, Jimmy Lewthwaite, Ted Ward, Jack Kitching, Arthur Bassett, Willie Horne, Willie Davies, Tommy McCue, Fred Hughes, Ken Gee or George Curran. With the new school term well under way, here at Heritage Quay we’re looking forward to welcoming lots of new faces onto our schools programme for years 4 to 8, with workshops such as Find It! Draw It! Play It! and Build It! All our workshops are linked to the History, Geography, Technology, English and Drama curriculae for key stages 2 and 3, are great fun and completely free! The Archives at Heritage Quay will be celebrating The Big Draw during October with the launch of an arts based workshop, Draw It! which draws inspiration from two local historical figures, Victor Grayson, M.P. for Colne Valley in the early 20th century, and Susannah Sunderland, “Yorkshire Queen of Song”, the founder of the choral competition which will be familiar to many Huddersfield schools. In November, Heritage Quay will be handing over control to students from Netherhall High School’s history club as they take over the archives on Friday 20 November, as part of the national Kids in Museums campaign. They’ll be undertaking some research of their own as well as taking on the roles and tasks of Archivists. We’ve already got some role play experience under our belt through our theatre workshop Play It! which took place back in June. This drama workshop takes the Rugby League collection at Heritage Quay as its starting point. Supporting History and English curriculum objectives, Y6 children from Lindley Junior School re-told the story of the birth of Rugby League and its impact on local communities. They were led through a range of dramatic techniques by professional actors from Chol Theatre along with Huddersfield University drama students. 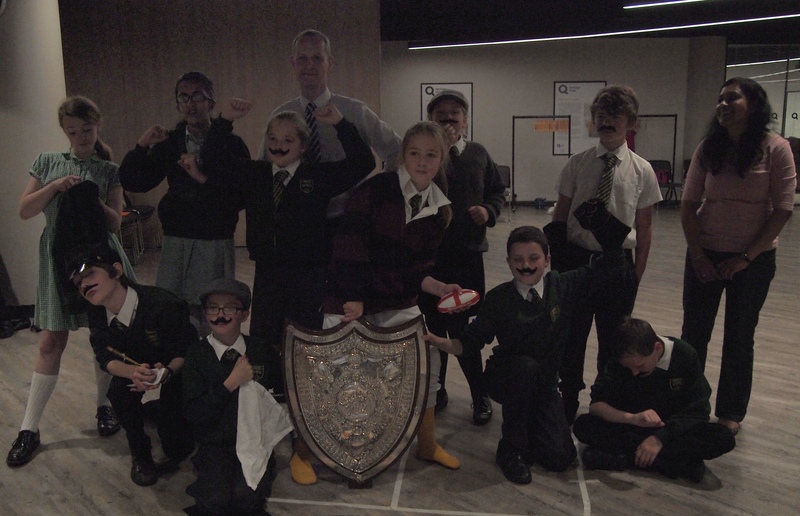 The pupils and their teachers learned a lot about acting and rugby – they thoroughly enjoyed dressing up, handling artefacts from the collection – and wearing false moustaches! Here they are posing at the end of their performance with the 1892 Yorkshire Senior Competition Shield. Our schools workshops support National Curriculum objectives, last around 3 hours, can include a campus tour, and best of all, are completely FREE! So if you would like your class to discover their inner thespian, architect, researcher or artist, drop an email to T.Wells@hud.ac.uk or give her a ring on 01484 473 168. We look forward to seeing you this term at Heritage Quay! Today sees the launch of Heritage Quay’s first brochure of events and activities, to cover the period September 2015 – March 2016. The programme responds to different areas of our collections and there is something for (almost) everyone in there although there is a particular focus on rugby league, music and local history. To pick out a few highlights, the Rugby League History Day in October will be brilliant – the line up of ex-players, fans and historians is looking stellar (more information to come closer to the time) and it’ll all be for free. For those wanting more detail on the history of the game, renowned historian Tony Collins will be here to run a Roots of Rugby League course over four nights, with a special focus on the Kirklees and Calderdale areas. This is apt because of rugby league’s big 120th birthday this year. Also make sure to book for our showing of Dangerous Moonlight. Although not a wartime ‘classic’ the lush and emotional music of the Warsaw Concerto, composed specially for the film, made it incredibly popular and should get you in mood for dancing afterwards. They’ll be a bar on hand and live music to make the evening go with a swing. Those proto-band leaders amongst you can get more involved with our Conducting for Beginners workshop. The last thing I’ll mention is The Listening Room, our special group (it’s like a reading club) for music fans. We’ll be serving up a mix of tunes from our collections every month and then dicussing them to pieces over tea and cake. If you fancy joining the conversation visit our web page or join the Facebook group or of course just come along. 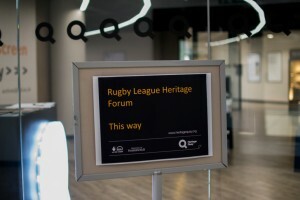 Last Saturday saw the first rugby league Heritage Forum take place at Heritage Quay. With such extensive collections about the history of the game, the archive is of course the natural place for rugby league enthusiasts to get together, share what they’ve been up to and do some good networking. So we thought we’d organise something to do just that. Representatives of clubs or heritage projects came from across the country to explore Heritage Quay, meet each other and enjoy a full day of talks, chat and biscuits. We welcomed people from Huddersfield, Warrington and even Featherstone. 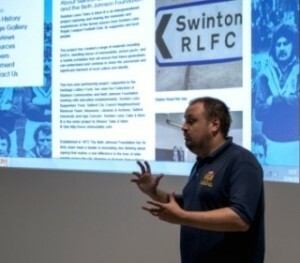 The morning was rounded off with a talk from Stephen from the Swinton Lions Tales group. This excellent project seemed to interest and inspire everyone and is well worth checking out. The final talk of the day was from the Leeds Rugby Foundation, who described the work they’ve been doing connecting the club and community with their rugby league heritage before sharing some great old photos which had everyone in the room taking a trip down memory lane. There were also some gems from the collection on display to highlight how Heritage Quay can help researchers with useful and diverse sources. Overall it was a great day and I’m already looking forward to next year! Today the Bradford Bulls rugby league heritage group have been visiting Heritage Quay. 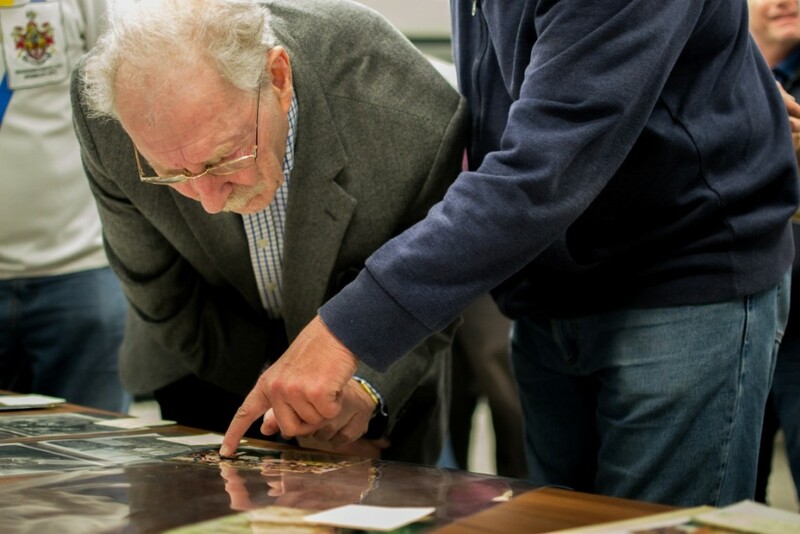 The group are working on a project called ‘Birch Lane Heroes’ focussing on Bradford players, and other people connected with the club, in the First World War. As part of this project the group have been working to research the club’s history using records in the Rugby Football League Archive. This has included viewing minutes and registers of players to uncover the history of Bradford Northern, as the club was then known, in World War One. The group have also been applying their expert knowledge of rugby league history by identifying players, referees and stadiums in some of the hundreds of photographs of rugby league matches. All of the photographs are in protective sleeves so we’ve been using a simple, but very effective, system of post-it notes for identification which we’ll transfer to the electronic catalogue for everyone to use. This week, as part of the Four Nations, the Rugby Football League, and its charitable arm Rugby League Cares, have been celebrating the British rugby league touring team of 1914. In 1914 the Great Britain rugby league team toured Australasia and on 4th July 1914 they emerged victorious against Australia in a historic match which was to become known as the Rorke’s Drift Test. As part of the 2014 Four Nations the England team wore commemorative jerseys to celebrate 100 years since the Rorke’s Drift Test; and in July a commemorative dinner was held with a souvenir menu featuring a history of the tour illustrated with images from the Rugby Football League Archives which are cared for here at Heritage Quay. To see a copy of the souvenir menu head over to the Rugby League Cares website. What a week it’s been in Heritage Quay! Last week was our first official week here in the new Archives so I thought today would be a good time to reflect on the breath and value of what we’ve got up to in that short space of time. The week began with the launch of Heritage Quay by Gary Verity (from our funders HLF), Cllr Ken Smith (Mayor of Kirklees Council) and a small group of invited guests. What was so pleasing for me was the sheer range of people who came to support us. I met not only University staff, funders and major partners but more local individuals and groups who will play a large part in our future. On Tuesday we hosted the Royal Historical Society and the University’s History Department with a fascinating lecture from Dr Alex Shepard of the University of Glasgow who talked about her research into the experience of women in the past, a key theme of our collections. Wednesday saw Heritage Quay host a performance by one of our newest partners, Mikron Theatre Company. With their archive coming to us in the near future the very well attended show felt like a brilliant way to mark the start of a great relationship. Lindsay followed up on the performance by speaking at the Mikron Friends event on Satuday. Friday was relatively quiet – but it was the first Through the Quay-hole tour of the archive, led by Rob. Curious staff came down on their lunchbreaks and left knowing a lot more about what we’ve got and how they can use it. If you’re interested too make sure you book on a tour in the future. It all ended with Rugby League on Saturday. Fans from across the country came to Heritage Quay for Supporters Direct’s Voice of the Fans day – it was awesome to finish the week feeling a part of the Rugby League community.